With our busy lives, many of us spend a great deal of time in our cars driving from place to place. After a while our vehicles start to smell less than desirable. You could purchase a low quality air freshener made of chemicals that you will probably throw away in a few weeks or you could choose to keep your car smelling fresh with essential oils! Sounds great right? Check out this quality essential oil diffuser for your vehicle! The pattern of this exquisite piece of car jewelry has been named “The Flower of Life”. It is considered to be Sacred Geometry and is known to philosophers, architects and artists around the world. Specially designed for cars using water less diffusion technology. Your vehicle’s electronic components are protected as this unit does not produce water vapors. No chemical fragrances, use your favorite essential oils for aromatherapy while you drive. Made from premium materials, made to last a lifetime. This locket is made from high grade 316L stainless steel with a magnetic closure, and protective rubber sleeves to protect your dashboard. Easy to use; no maintenance required just add 2-3 drops of essential oils every couple of days. No water and no electricity required. Dense felt pads are specially designed for ideal diffusion. Simply turn on the ventilation system for a boost of fragrance. 100% Satisfaction Guarantee This diffuser comes with 3 extended warranties for your complete satisfaction: a 60 day replacement warranty, a 60 day refund warranty and a lifetime warranty for manufacturer defects. This diffuser may cost a little more than the regular, run-of-the-mill car fresheners available on the market, however it is made to last a lifetime. You will never need to purchase a car air freshener again. Not to mention the therapeutic benefits you will receive from breathing in essential oils instead of chemicals. I believe the cost is worth it. The practice of aromatherapy is becoming more popular in western society. 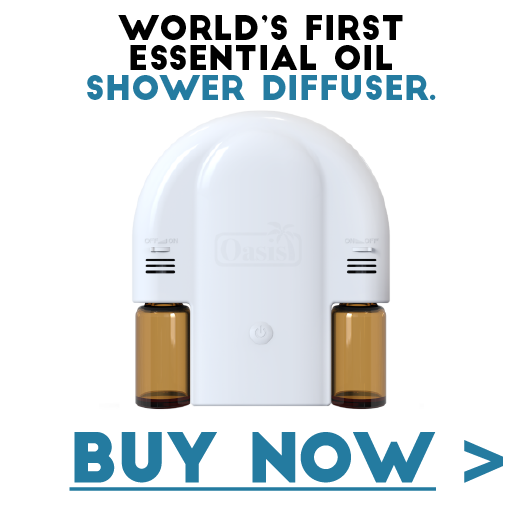 Many of us are using it in our homes, now you can use your essential oils in your car too. Driving in traffic can be stressful, add your favorite essential oils to your diffuser and let the stress melt away. Keep your car smelling fresh and gain the therapeutic benefits of essential oils while you are on the road. Fight the effects of seasonal allergies, headaches, colds, flu, anxiety, etc while you drive. I have three kids and a dog, my van gets a little stale. The little hanging artificial fragrance trees are too strong and give me a headache. I was excited to discover this. I love using essential oils in my home. I was excited to learn I could use them in my car too. This piece of car jewelry doesn’t take up space and is simple to use. This product is really solid and is not flimsy at all. It stays on my vent very well. I like that the pads come in different colors, it helps me keep track of which pad to use for specific oils. My wife put a few drops of lemon and peppermint on one of the pads (this is a great essential oil combo for allergy season). I highly recommend this product. This diffuser is well-made and very sturdy. I am very happy with my purchase. With three small kids, our van gets smelly pretty quick. This diffuser keeps my van smelling fresh! The diffuser fits snugly and securely in the vent. The felt discs are heavy-duty and I like the choice of colors. Great gift idea, the box it came in makes a nice presentation and is small enough to store in the glove box when not in use. Thanks for stopping by, I hope this review was helpful. Take good care. Stay happy and healthy! Hi Angela, what a beautiful looking car diffuser. I have moved away from using chemicals and have switched to using natural products. One of my top products I use for air freshening and cleaning are essential oils. The Flower of Life car diffuser by Anzazo would definitely be a great addition to my car as there are so many days I can smell the exhaust of the cars inside my car when driving to work. This often leaves a lingering stale odour. I love the idea of adding some essential oils to the different colour pads. Definitely will put this car jewelry diffuser on my Mother’s Day wish list! I’ve been changing things in my life too. I try to use as many natural products as I can. I love the Flower of Life Diffuser for cars, it looks great and is well made. The many different colored discs makes it handy to keep track of the scents that you use. What do you think the best scent would be to counteract exhaust? It can be so smelly at times eh? I sure hope you get your Mother’s Day day gift. Drop by and let us know if you do. Thanks for stopping by and commenting. It is always a pleasure to hear from you. Have an awesome week! Take good care!